Mount Davis is located on the western end of Hong Kong Island, 269 Metres in altitude, facing the East Lamma Channel and Sulphur Channel. It is the most important point of Territorial defence from the late 19th Century to the mid 20th Century. Before World War II, a number of batteries and concealed troughs were built along the slopes and up to the peak to fight against the intrusion by invading Japanese Forces. And was therefore full of strategic defense value. Some of the ruins, in particular the battery base site, are still quite well preserved. The Central and Western District did create some rest grounds nearby for use by visitors. 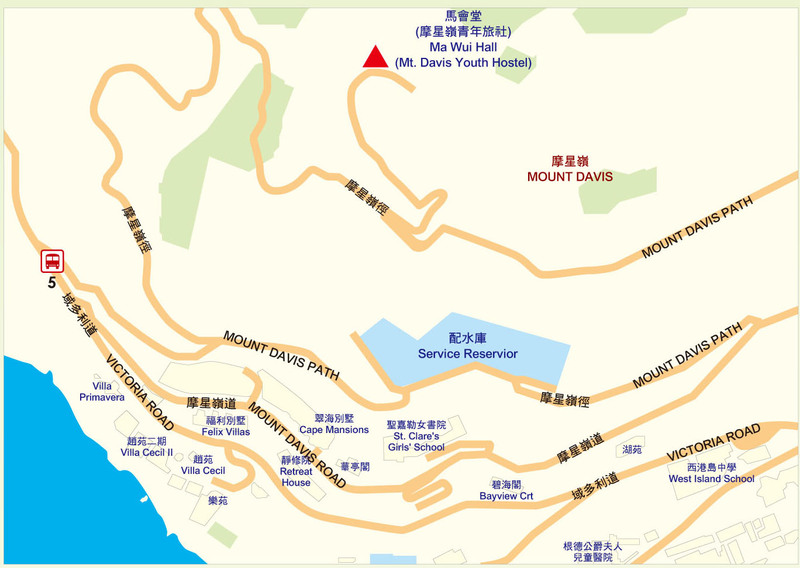 Mount Davis was named in memory of the 2nd Hong Kong Governor, Mr. John F. Davis, it is not known how the Chinese name was made, but was quite likely derived from the sound of the beginning and end of its English name. Another possibility was; if one is at the summit of Mount Davis at night time, one might have the feeling of being able to "touch the stars", which is the translation of this name. Starting point is at the junction of Mt. Davis Path (Not Mt Davis Rd) and Victoria Rd.